The Diesel Powered Equipment Technology program provides practical experience in the repair and maintenance of diesel powered equipment. 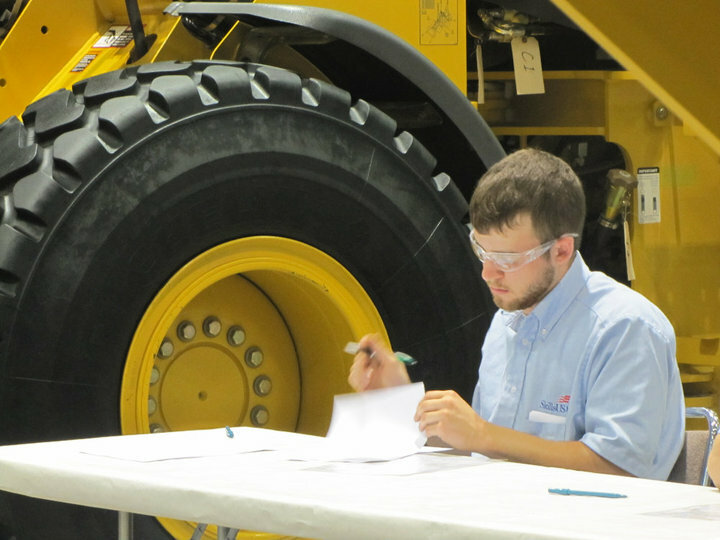 Students receive instruction in troubleshooting, engine analysis, disassembling engines replacing defective parts, reassembling, etc, to enable students to enter employment in truck, construction, agricultural equipment, and other related fields as technicians. Students admitted to the Diesel Powered Equipment Technology program must have a valid driver’s license prior to admission. The Diesel Powered Equipment Technology training program at Tennessee College of Applied Technology-Harriman has received accreditation by NATEF. Tennessee College of Applied Technology-Harriman’s Diesel Powered Equipment Technology program has a Master accreditation which includes the following areas: Diesel Engines, Brakes, Electrical/Electronics, Suspension and Steering, Drive Trains, Preventive Maintenance, Heating Ventilation and Air conditioning and Hydraulics. **Complete cost of tools not included in total program cost.